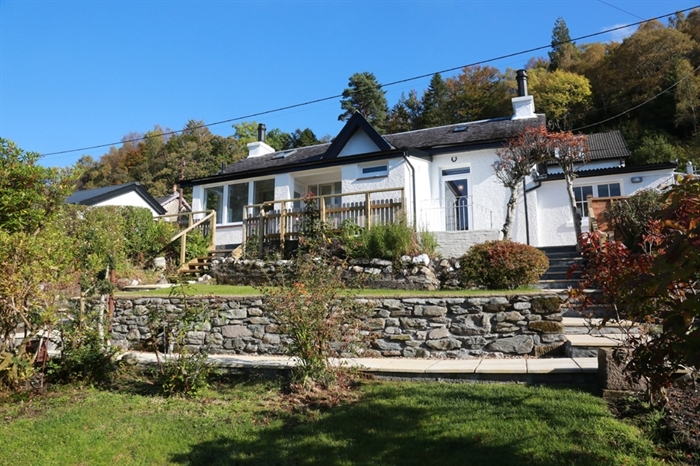 A gem of a cottage offering loch & mountain views, a sun room and a wood burning stove. 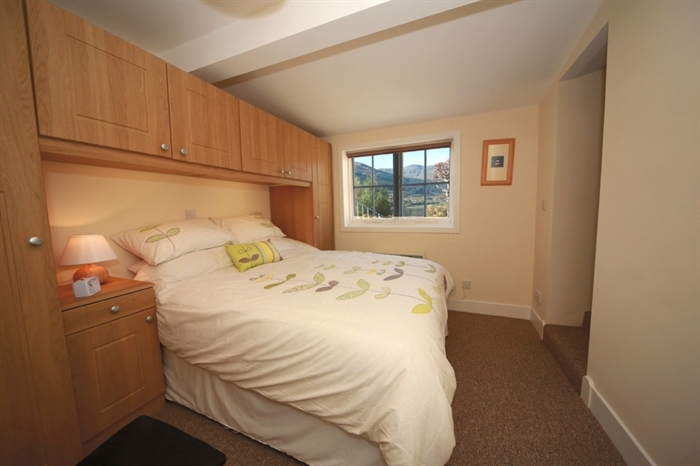 Perfect for walkers being just steps away from the start of marked walking trails in Lochgoilhead. Ivybank was built around 150 years ago as the gardeners cottage for the large Victorian villa situated next door. When the owners modernised the holiday home they were careful to retain many original features. Inverlounin Road is a single track private road leading from the village and following the east shore of Loch Goil. 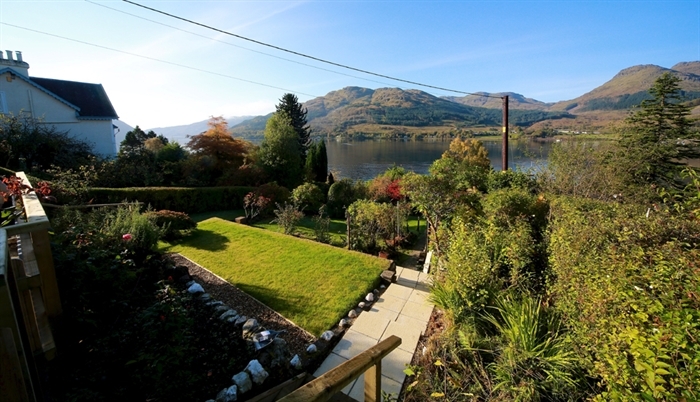 In parts the road is in an elevated position and there are many original grand Victorian homes built between the road and the grounds sloping down to the loch side. Parking is at a premium so the parking bay for one car off the road at the entrance to the property is a great start. As soon as you step out of your car you will be drawn to the view. 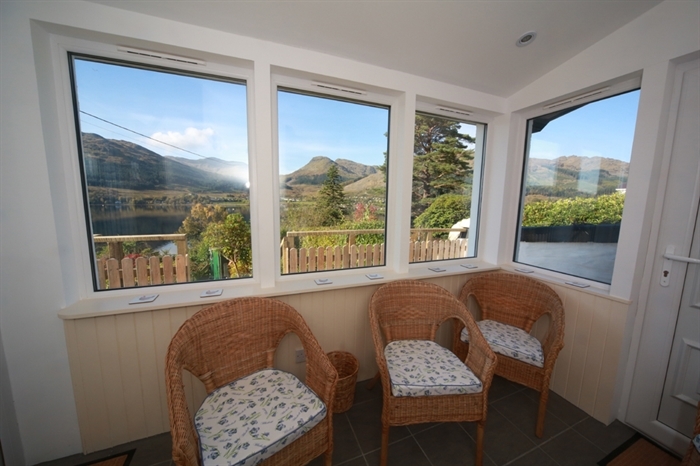 The cottage is elevated from the lochside and this is only a taste of the uninterrupted views to be enjoyed from the outside patio area. Care has been taken to make sure access is suitable for all. There is a ramp with a slight slope to a side door and then one step to enter the property. 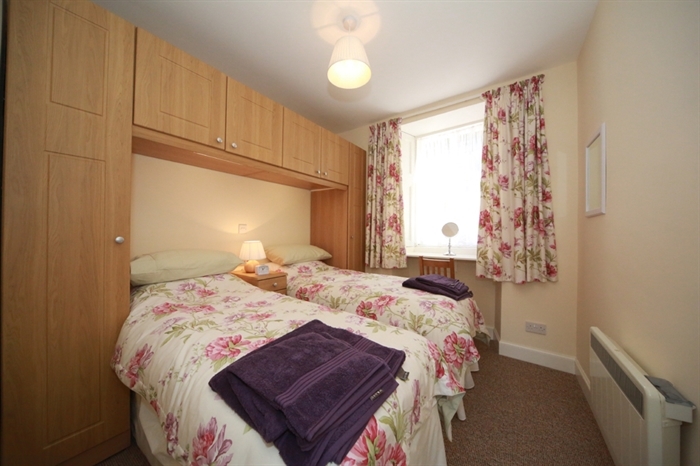 From there all rooms, except the double bedroom, are on one level so Ivybank is suitable for anyone with limited mobility. It is a pleasant 10 minute stroll down Inverlounin Road into the village where you will find the post office and general good store and the Goil Inn which is the village pub and restaurant. 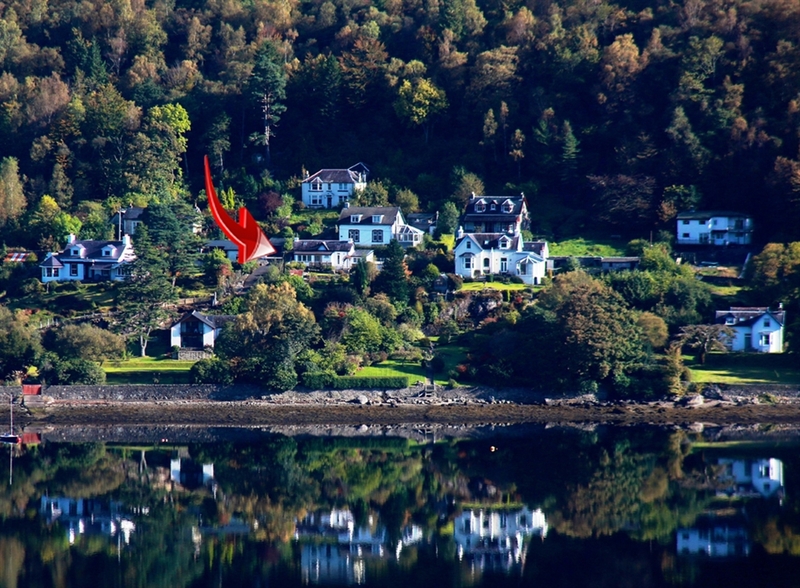 Either a 30 minute walk through the village, or around the lochside; or a 5 minute drive on quiet roads, you will find more dining and activities available at the Drimsynie Estate. For a small lochside village there truly is an impressive choice of places to go and things to do. Boat hire is available in the village, with free fishing on the loch. There are endless walks from the doorstep for all ages and fitness and cycling and mountain biking give access to fabulous views. You enter the cottage via the patio area into the sun room. Being on the east side of the loch you have the sun till late in the day when it dips behind Beinn Bheula and Beinn Lochain. The sun room is private and perfect for relaxing and enjoying the view and looking out for the visits from the red squirrels and bird life in the garden. 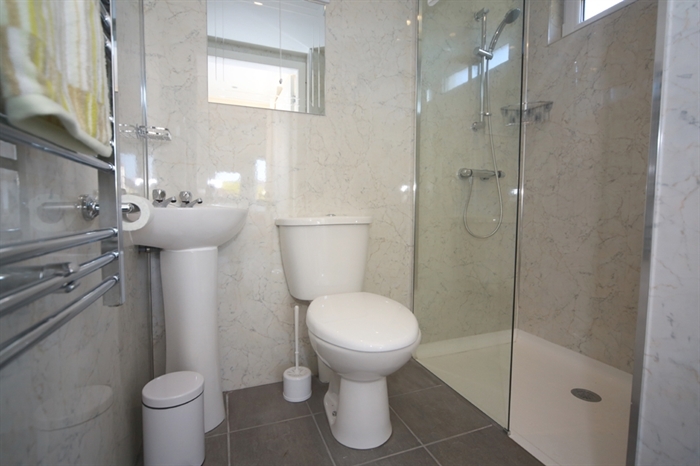 From the sun room you enter a small hallway which has a full sized walk in shower and toilet off to one side. 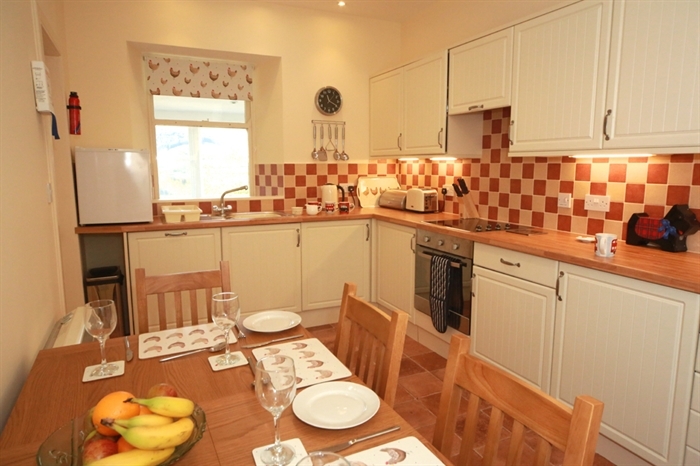 The kitchen is modern and equipped with everything you need for a self-catering holiday. There is a wall mounted TV with its own signal. You can watch a different programme than what is being shown in the lounge. 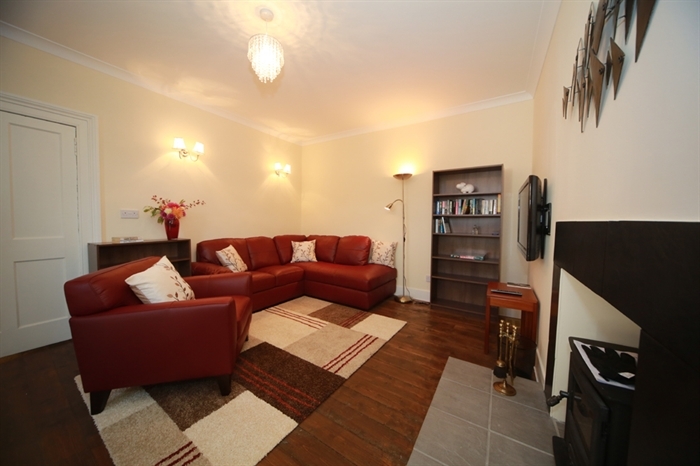 The heart of the cottage is the spacious lounge. 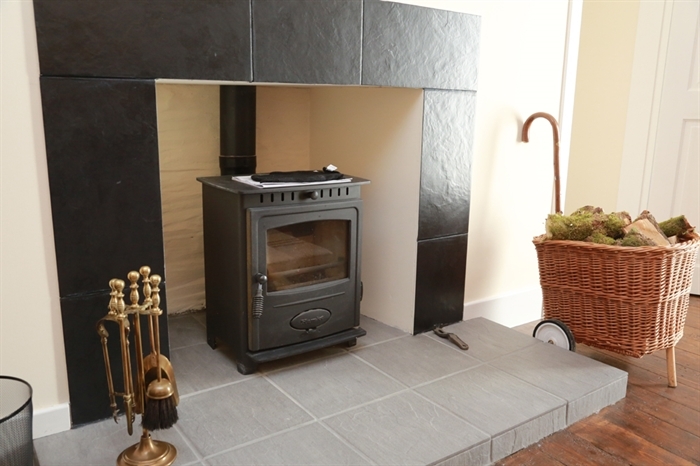 Who wouldn’t enjoy the special effect that a wood burning stove adds to a lounge? The modern touch of a large wall mounted TV with Freeview makes for a cosy space to socialise and relax. 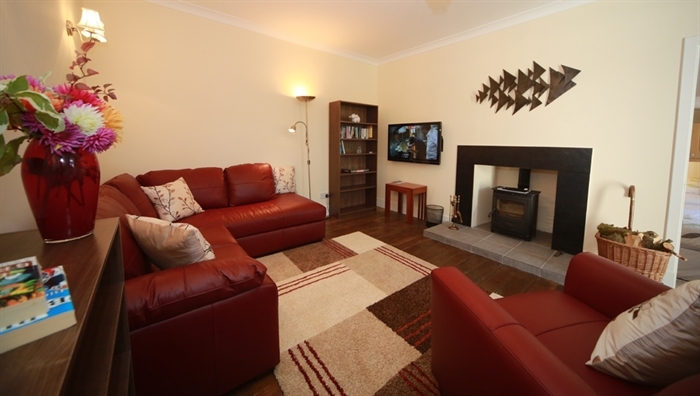 Ample hot water on demand and the cottage is heated by temperature controlled space heaters. Towels are provided. To the front of the cottage is the patio area with a path leading down to the garden which is built on three terraces. The views across the loch to the far hills are stunning at any time of year, and sunsets are a delight. Bedroom 1: Down 3 steps and has a King sized double bed and built in wardrobes. 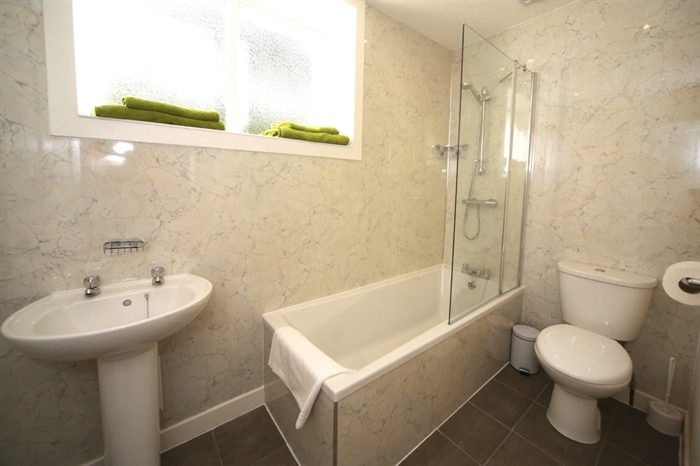 En-suite with a bath and shower over the bath. Bedroom 2: Twin beds 2ft 6inch wide and built in wardrobes. Cot - please bring your own travel cot. Note: There is not enough room in the twin bedroom.